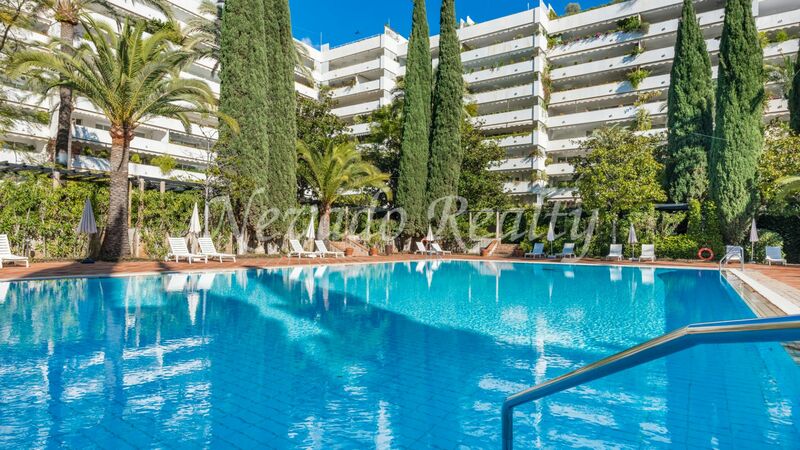 Located in one of the most emblematic buildings in Marbella, Don Gonzalo, known for its beautiful marble facade, is one of the most luxurious and safe complexes located on the second line beach with spacious communal areas with lush gardens , fountains and walk areas with night lighting. 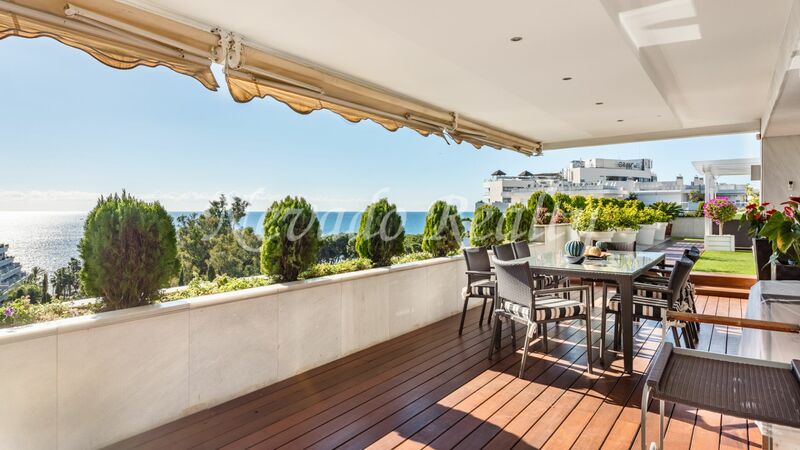 A very special property both by its situation into the complex and unbeatable panoramic views of the Mediterranean Sea, the city and the mountain La Cocha comprising entrance, large living / dining room with direct views to the sea and access to the covered terrace; the modern style kitchen with Santos furniture has been completely renovated; master bedroom with private bathroom with large walk-in shower and direct access to the terrace; second bedroom with private bathroom; third bedroom; separate bathroom; the covered private terrace has wooden floor, seating area and dining table. 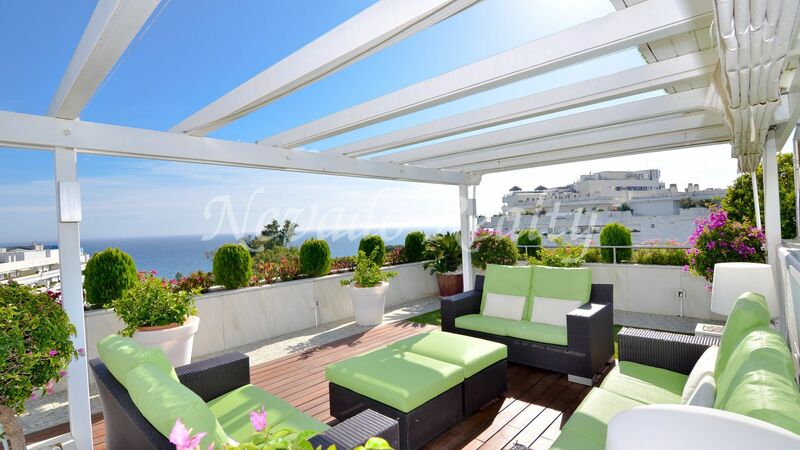 The outdoor area is at the same level as the rest of the house with wooden deck and artificial grass; comprises 3 fully differentiated areas: beautiful gazebo with table for 6 people to enjoy pleasant meals, 2 chill-out areas, one with south orientation and open panoramic views to the Mediterranean Coast, Gibraltar and Africa and the other north facing overlooking the mountain has a small bar with stools to organize evenings with friends with total privacy; in the central part, higher than the rest, highlights the beautiful swimming pool which is accessed on both sides with a Balinese bed and a hammock area for sunbathing. 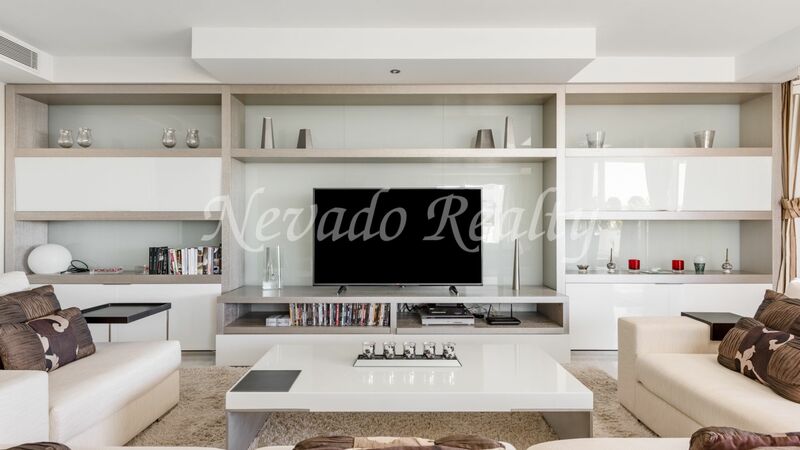 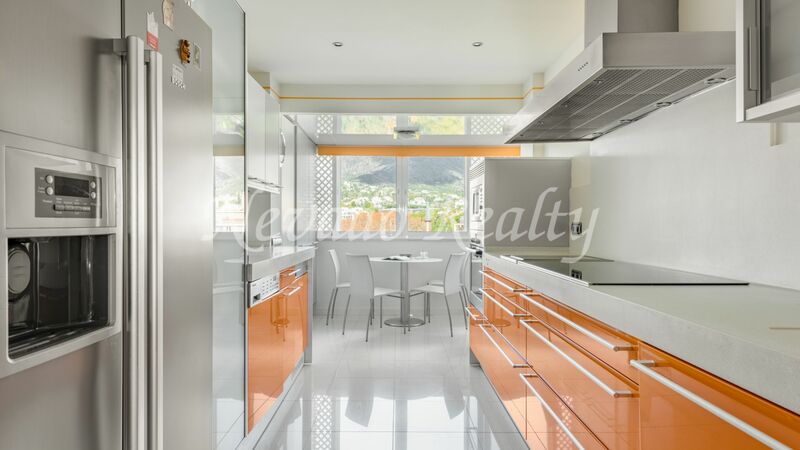 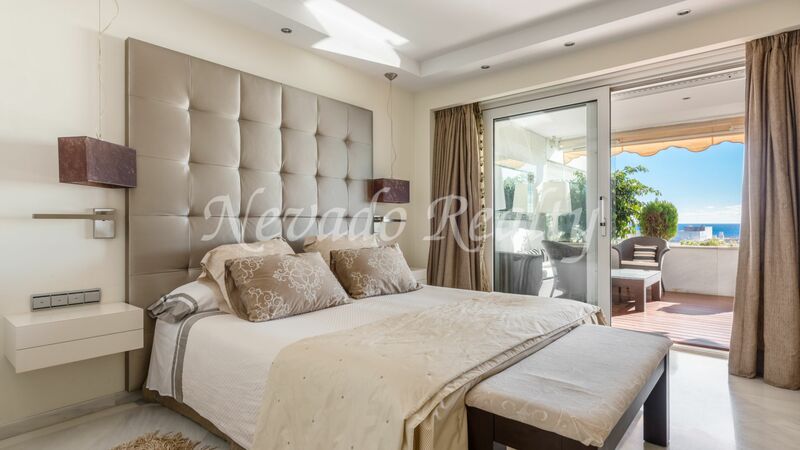 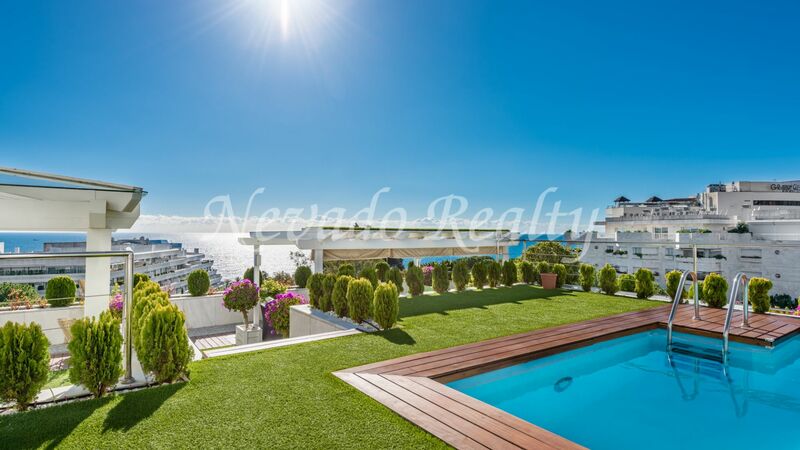 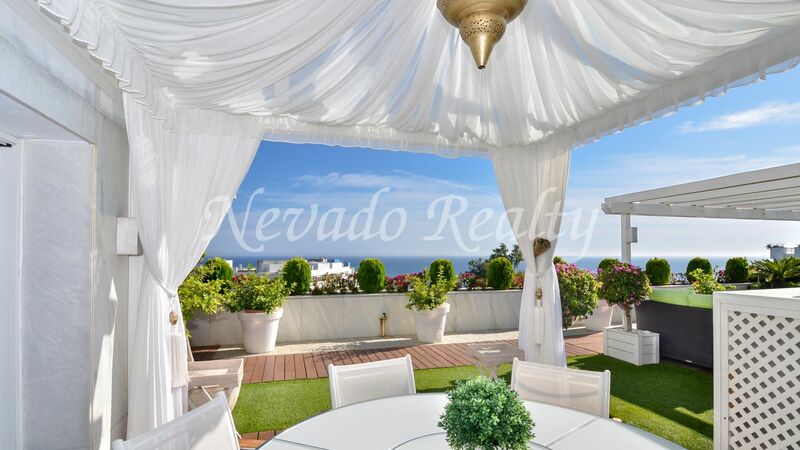 A truly unique property in one of the most demanded buildings in Marbella with concierge service, 24 hour security with surveillance and alarm system connected to the security gate at the entrance of the building, aluminum exterior carpentry with double glazing, TV satellite and marble floors. 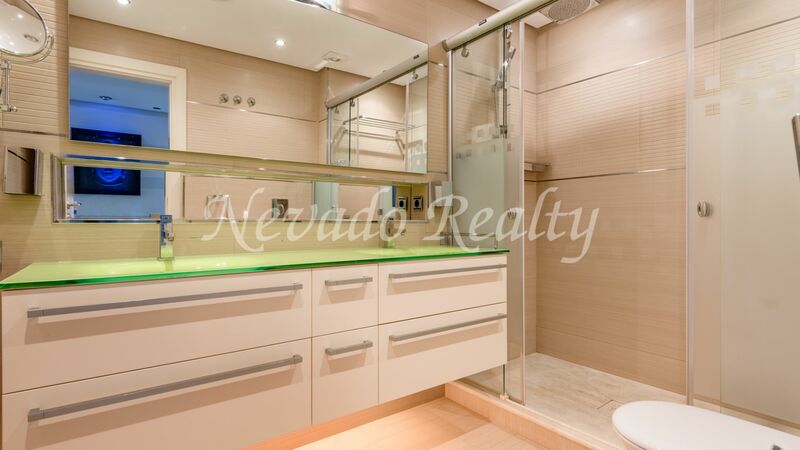 Includes two private parking spaces in the underground garage of the building. 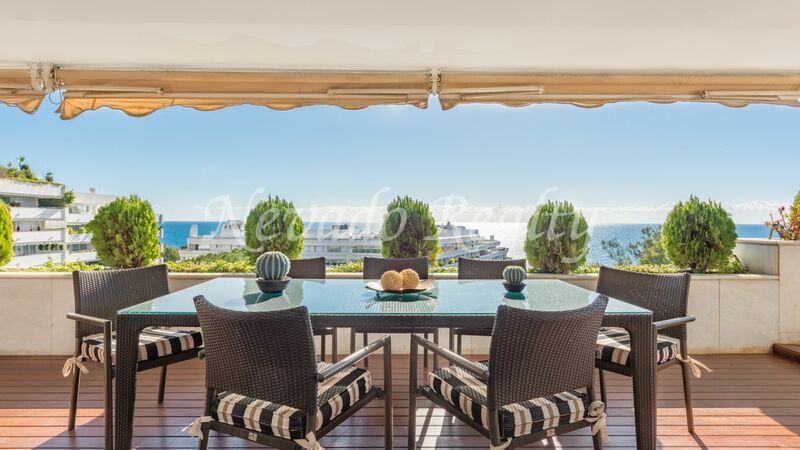 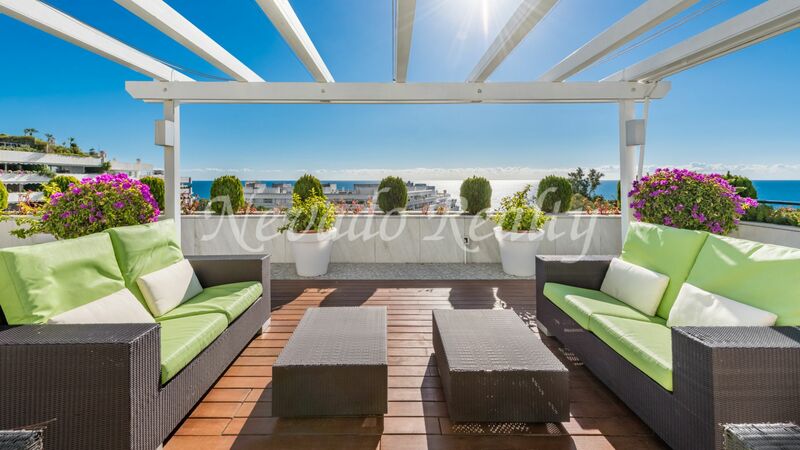 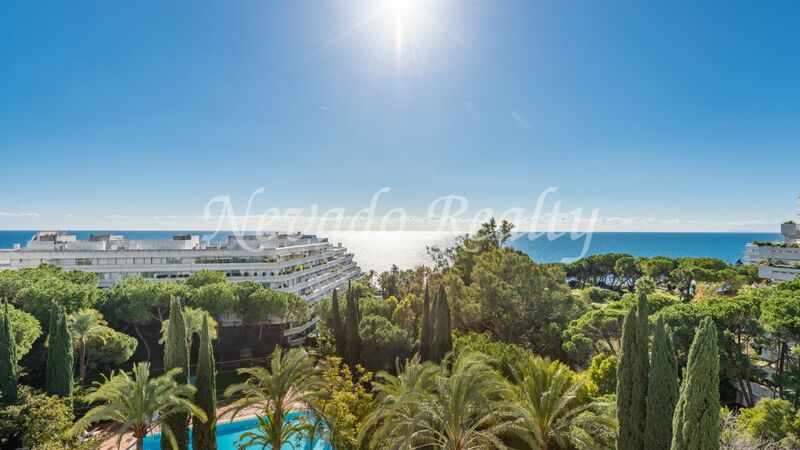 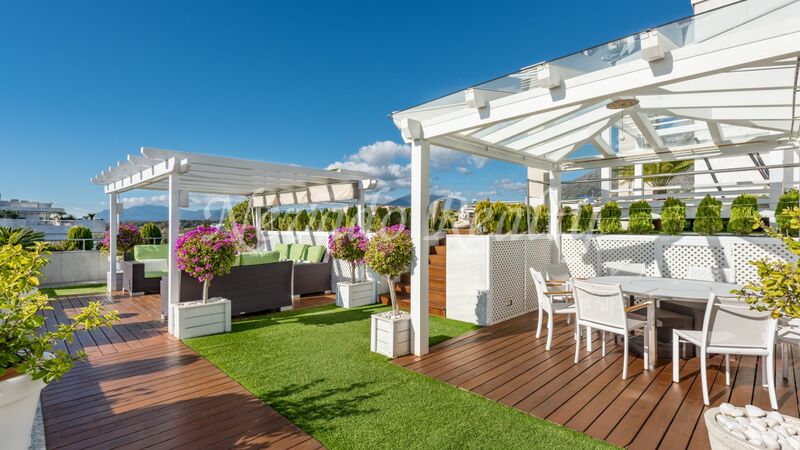 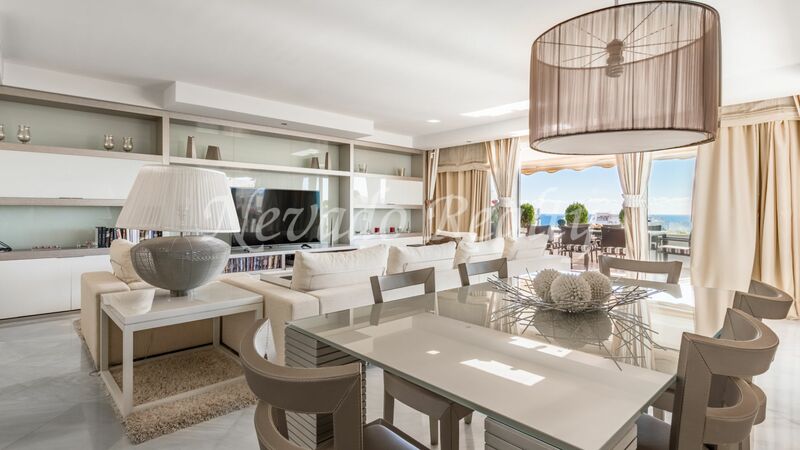 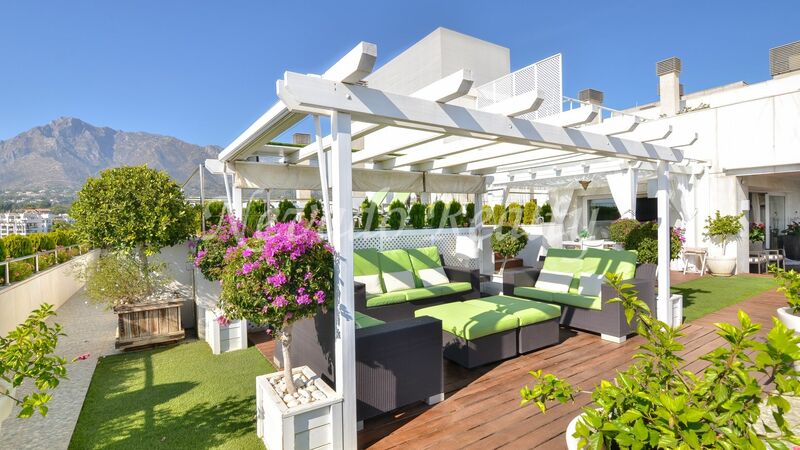 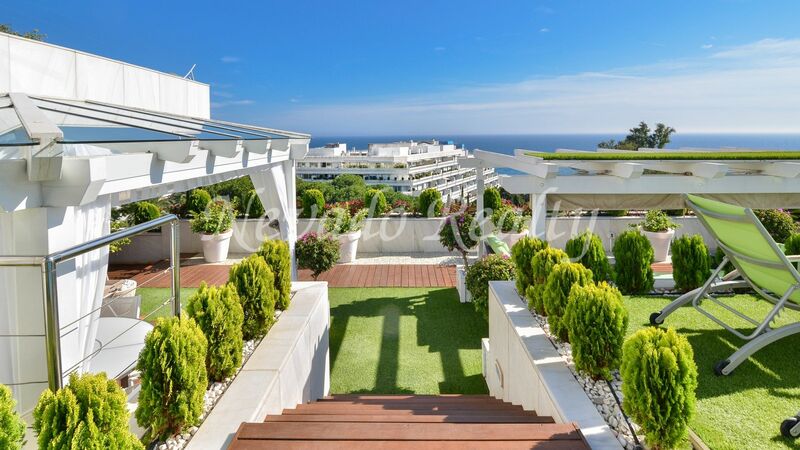 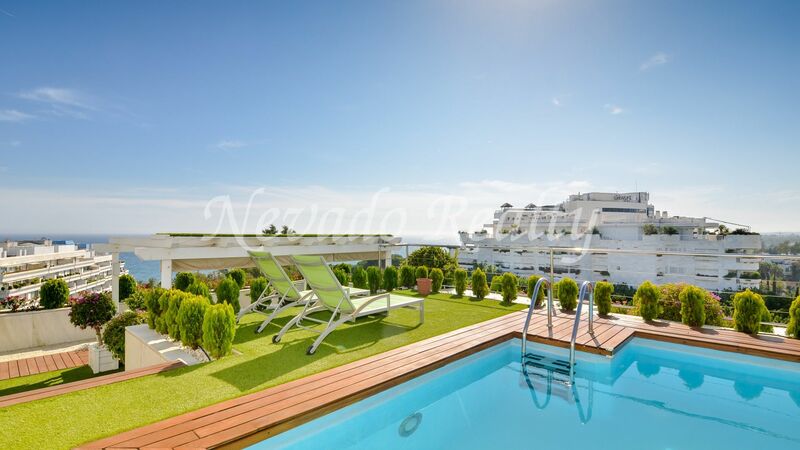 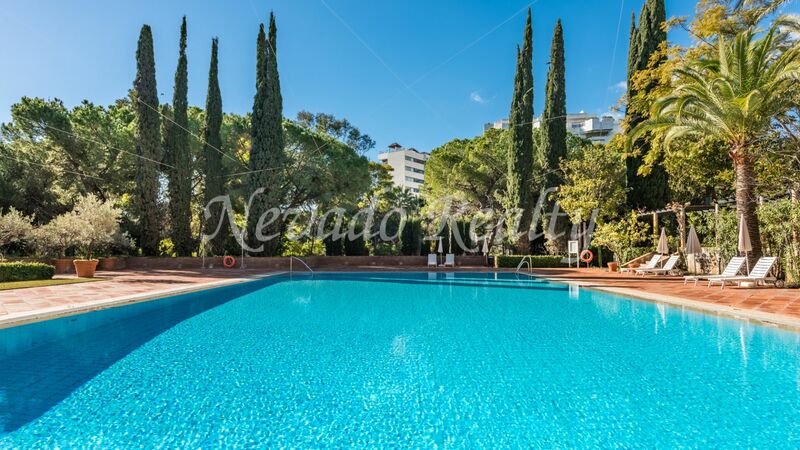 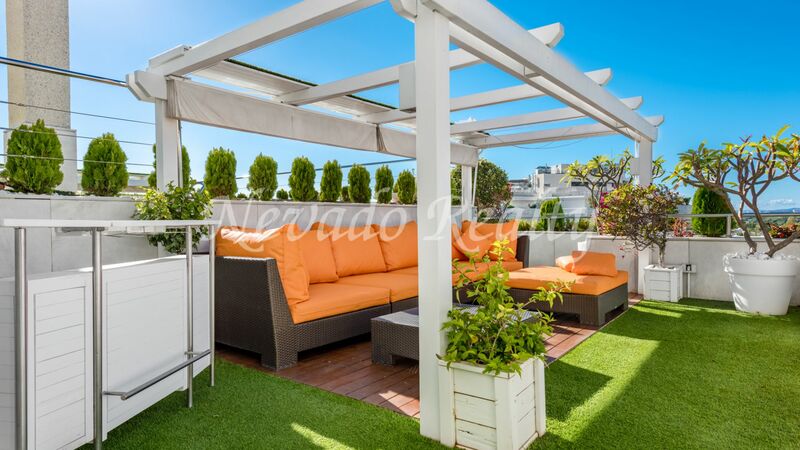 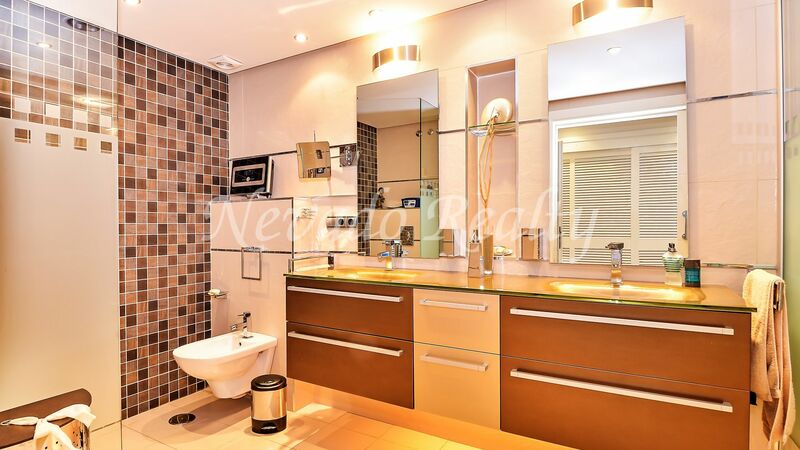 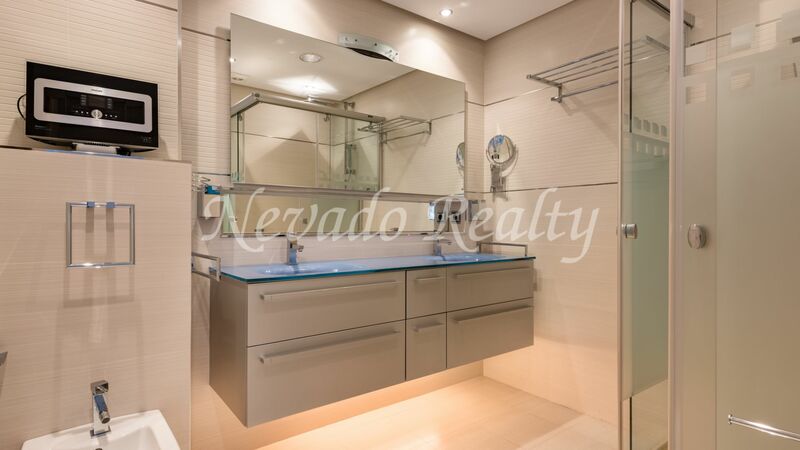 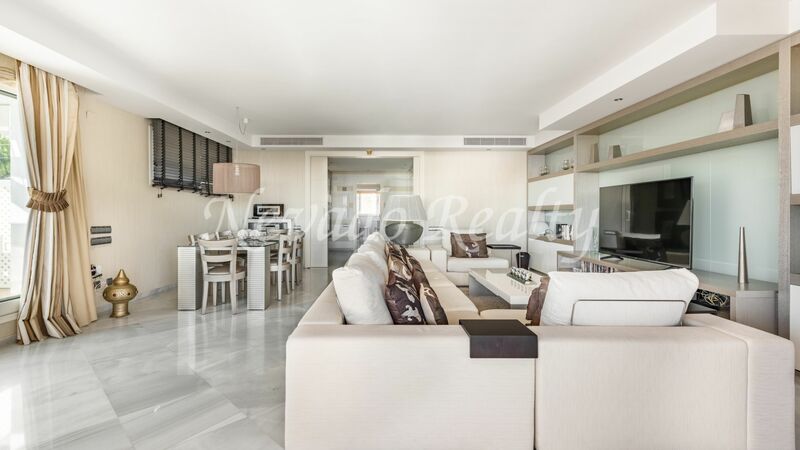 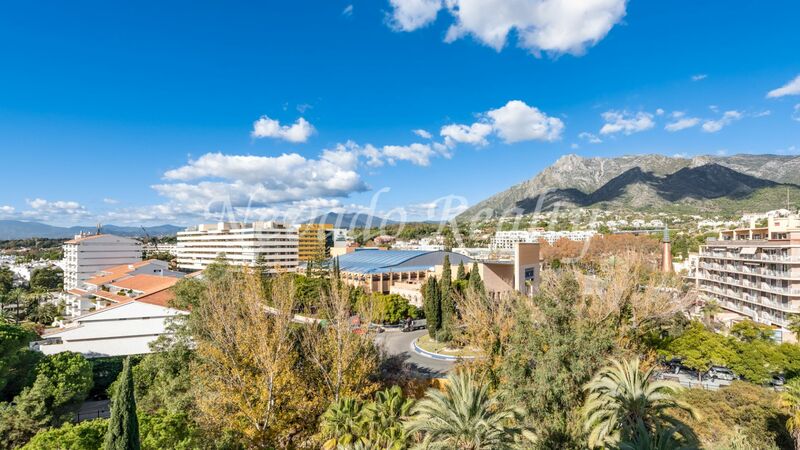 Please send me more information about ref 163-02414P, Penthouse in Don Gonzalo, Marbella Or similar properties.